Omg … I was just gonna send this to you. Thought you’d like it! This made me gasp – so much said in so few words – my morning coffee will never look the same. Thank you for sharing. I may not be able to bring you all coffee, but I’m so happy I can bring my friends and readers the gift of occasional gasp-producing poetry….and sometimes even hope. Thank YOU, Marian. I’d like to believe this is true. Maybe I’ve already met him and don’t know it? We must always believe, keep up the hope for whatever it is that is important to us. Just wow. Thanks for sharing! You’re so welcome, Jennifer, thank YOU! Last week I found myself , unexpectedly in a position of explaining (it felt like defending) why I read poems, why I seek out new poets to read. I struggled to construct the convincing explaination, and the blank face just starred back at me. I would’ve like to had this poem neatly folded in my pocket, place Frida’s words in his hand, smiled, then carried on my way. Hi Harry, thanks for this…I adore your note. I think many people are “scared” of poetry because they never understood it and were intimidated by it back in school. It’s hard for them to grasp those of us who read poetry for the pleasure of it. It’s almost like therapy for me; I know my life is better With poetry than Without it. The day I stumbled upon Mary Oliver’s “Wild Geese” changed—and even saved—my life. Most people can’t understand that, but that’s okay, because there are those special people in the world who understand completely. Christina, the timing of this is incredible to me! Ohmigosh! Thank you. I love how the Universe winks at us like that. Giving us just what we need when we most need it. I’m so happy I could be Its messenger to you. ❤️ much love to you Jean! I love the way you express yourself. 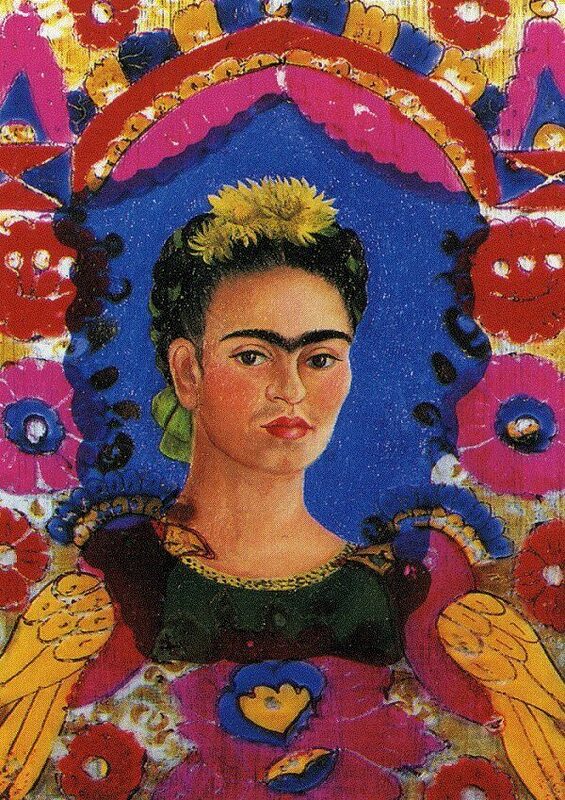 I wish I could tell you my whole story, but your choice of Frida Kahlo and the timing just stunned me. Thanks so much. I must say, I have followed and anticipated your posts for some time now, perhaps a couple of years? So great! Aww thank you so much, Jean. That means a lot. If you ever need a safe place to share, you’re welcome to email me via my contact page. I can’t promise to reply immediately, but I Can promise to listen and keep your stories safe.